Item is lightly used and has been fully tested to confirm that it works as it should. A 115V AC power supply is included. The Broacast Tools "tiny Tools" ADC-1 provides professional quality 24-bit A/D conversion. The ADC-1 is a perfect companion for converting the analog output of equipment (EAS encoders, etc) to stereo AES. 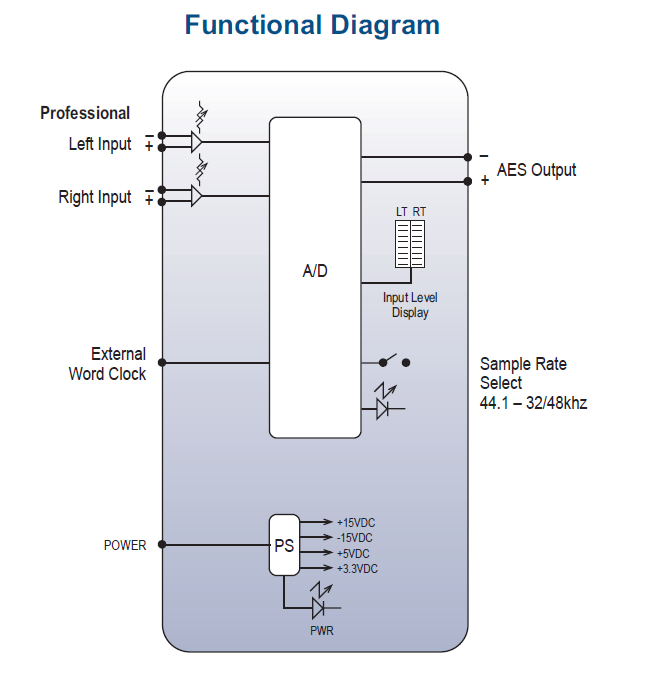 The A/D converter may be configured for sample rates of 44.1 or 48kHz (32kHz may be special ordered) or an external word clock from 32 to 96kHz. The ADC-1 is powered by an external 16V AC power supply affording superior headroom and high definition audio. The ADC-1 may be set on a desktop, mounted on a wall or up to four units may be mounted on the optional RA-1, Rack-Able mounting shelf [not included].